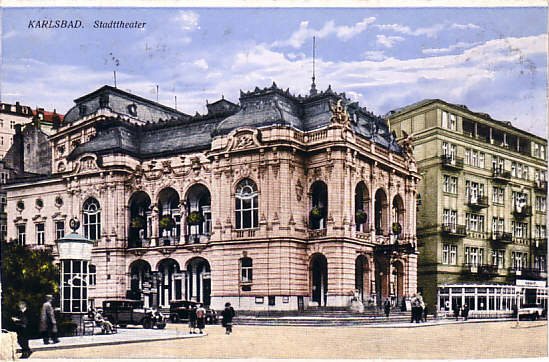 Built 1884-1886 as "Stadttheater" for the city of Karlsbad by Ferdinand Fellner & Hermann Helmer at the site of the demolished theatre of 1787. 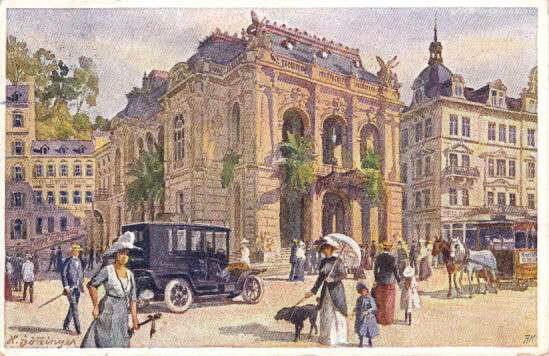 Opened 15 May 1886 with Mozart's "Le nozze di Figaro". 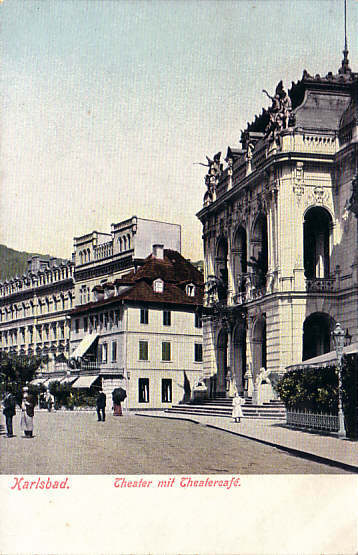 1910-1912 rebuilding of stage and auditorium. 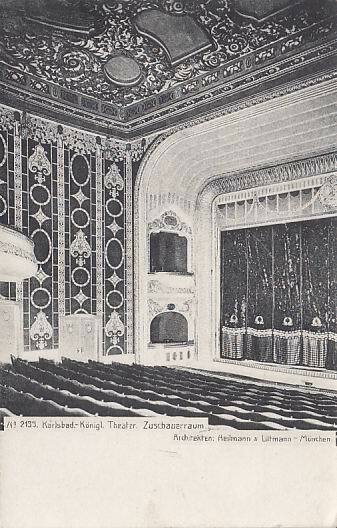 1928 interior alterations by Artur Payer. Renamed in favour of the Czech poet, Vítezslav Nezval. 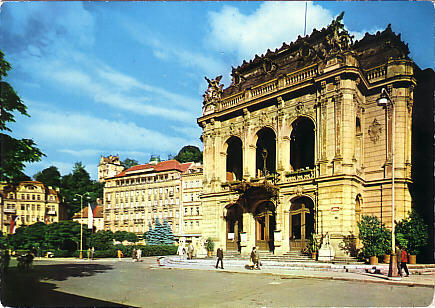 1970-1978 renovation (stucco, painting, curtain). 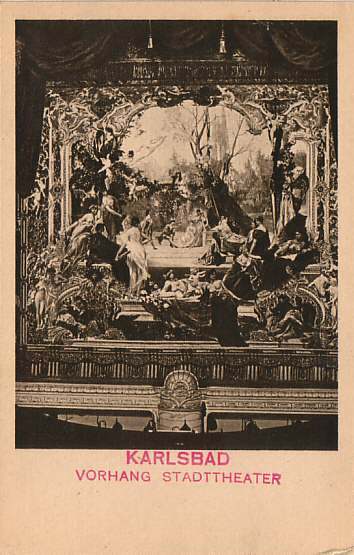 1996 renovation of the curtain. Major renovation 199?-1999. 850 seats. 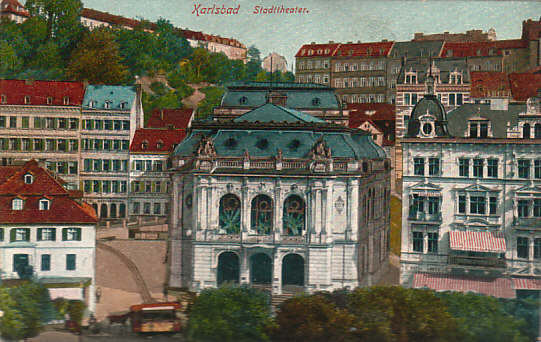 Front Text: "Karlsbad - Stadttheater"
Front Text: "Karlsbad - Theater mit Theatercafé"
Front Text: "Karlsbad - Das Theater"
Publisher: Künstler-Postkarte B. K. W.
Front Text: "Karlsbad - Königl. 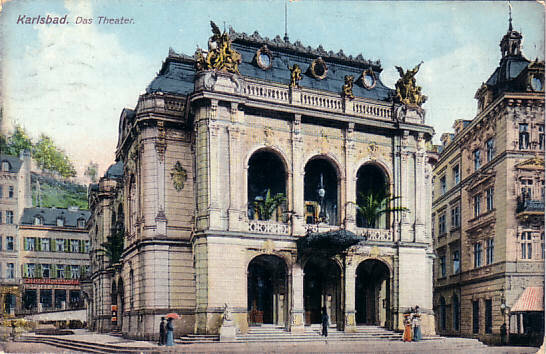 Theater. Zuschauerraum. 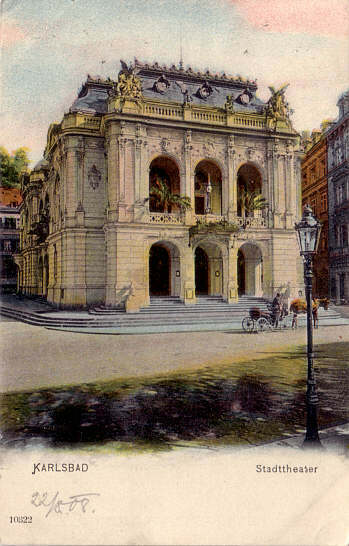 Architekten: Heilmann & Littmann - München"
Front Text: "Karlovy Vary - Divadlo V. Nezvala - Teatr - Theater - Theatre - Theâtre"